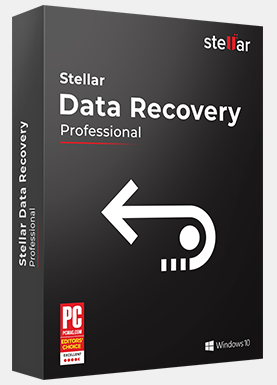 Top 3 File Recovery Software. Restore encrypted files. For Ransomware Victims. Restore encrypted files. In case your computer have been attacked by ransomware virus, you may restore your files by using file recovery software. Unfortunately, new ransomware threats are coming every day and there is no way all of them will get decryptors in the nearest future. 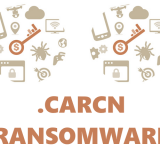 Due to lack of the decryptors for most ransomware threats, such method of restoring hidden and remote files’ copies is sometimes the only way to recover data. Office Documents recover. This is very handy feature because a lot of people work with MS Office files. Important graphics, tables, reports, official documents and letters – all of these are usually contained in different MS Office files. Folders recover. In case you need to restore specific folders and all the content within these folders. Emails recover. This option may help you to restore emails related files, like MS Outlook Emails. Photos recover. Photos, pictures, any kind of images – you may use this function to restore them. The program will search for images of different types, such as JPG, PNG, BMP etc. Audio recover. As simple as that – restore your lost audio files with this feature. The application will search for audio data of different types, like MP3, WMA, WAV etc. Videos recover. This function works as the two previous ones – recover your video files, such as MPEG, MOV, FLV etc. All data recover. Finally, you may choose this feature if you need to recover all types of multimedia files, documents, folders and emails. We should also mention, that Phoenix Windows Data Recovery is able to recover data from severely corrupted drives and from hard drives with bad sectors. Scan – is a simple feature for not experienced users that need to restore their files. There are also 3 different options you may choose. The first one is Quick Scan – it is a quick scan procedure of one hard drive. You can choose specific type of files or search for concrete file if you know this file’s name. The second feature is Full Scan – the name speaks for itself, use this option if you need to restore all the lost data from all your hard drives and connected devices. Finally, the third option is Guided Scan – this one is especially handy, because it will help you to use certain type of file recovery you need and guide you through the process. Advanced – with this feature user may run more deep and profound scan. Advanced scan is usually used when you need to find something more concrete. You may choose one or more options in the following categories: Text Search (Concrete filename or text), Areas to Scan (Recycle Bin, Files without names, Corrupt hard drive sectors, Reformatted partitions), Mounted or Unmounted Volume. Email – in case you need to restore lost emails and Microsoft Outlook PST/OST files, you may use this option. But first things first, you should close any open email applications before starting an Email scan. Then select one or more Email scan options and click the Start Scan button. 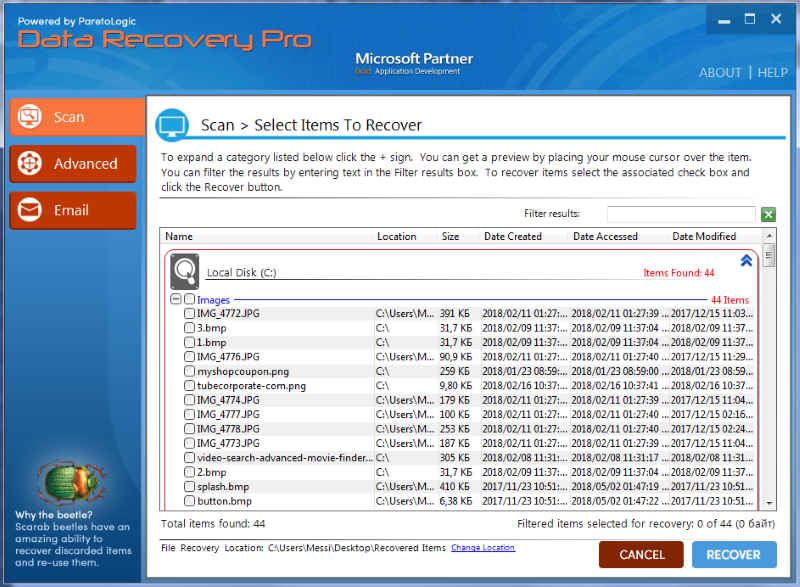 As you may see, Data Recovery Pro is a multitask application that may be very handy in any kind of data loss situation. 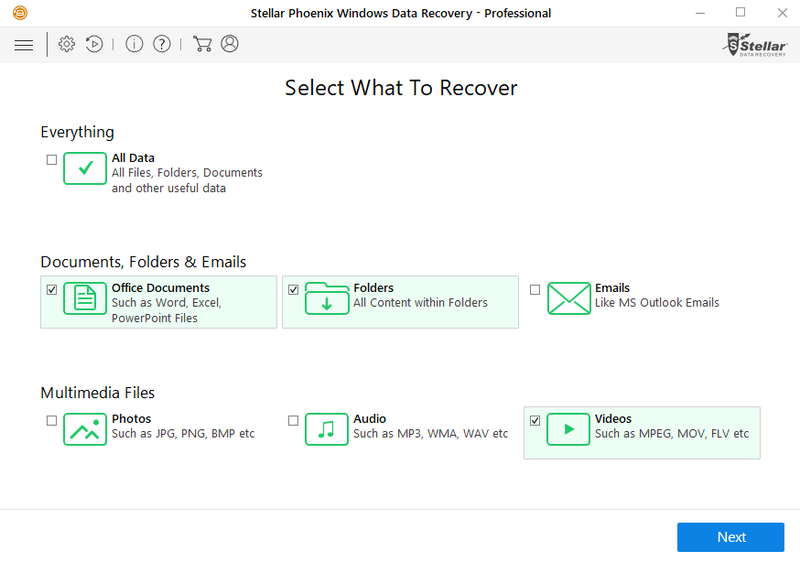 Recuva by Piriform is a simple and lite application for data recovery. It is not as multifunctional as the previous programs, but can still do the job. The design of this application is quite simple and user-friendly. You may choose the hard drive for the program to scan it, or you may state specific filename or path. 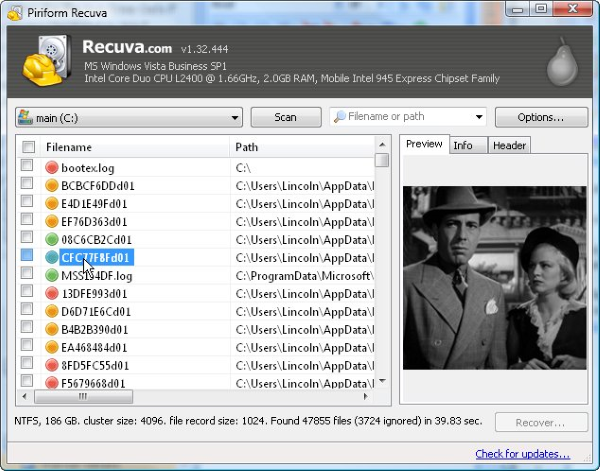 Once the scan is finished, Recuva will display the list of lost and removed files. You may choose required files and recover them. The colored dots near these files indicate chances of full recovery: green dot means that your chances to restore file is excellent; orange dot – possibility of restoring this file is acceptable; red one shows you that it’s unlikely to recover this file. We hope this guide was helpful to you. Feel free to leave a comment and tell us what recovery software were (or weren’t) effective in your case.